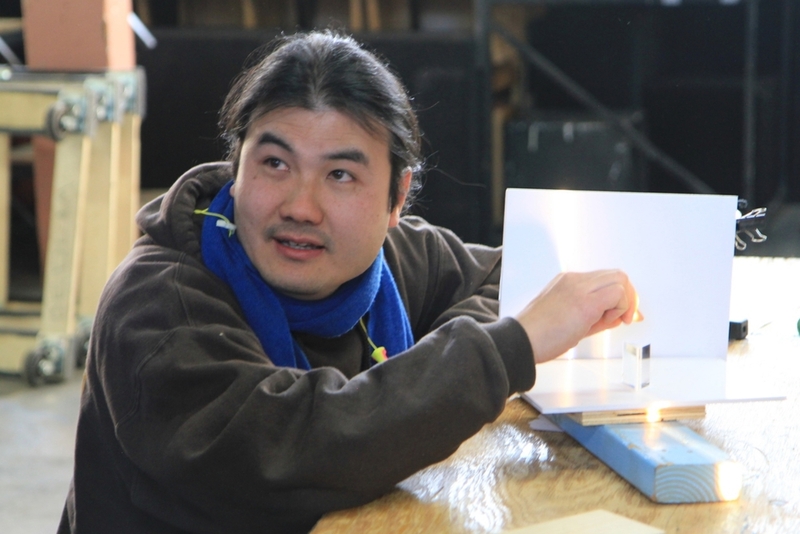 Wu Chen Khoo is a lighting designer, stagehand, production manager, technical director, and labour organizer based in the Twin Cities area. Over the past 18 years, he has fostered great working relationships with a large and diverse cross-section of the dance, theatre, opera and event companies in the Twin Cities. Besides being a co-founder of the education and outreach program Technical Tools of the Trade, he is also a founding member of the Class & the Arts collective (www.facebook.com/ClassandtheArts), an informal group of arts workers and organizers working to build Solidarity and promote critical engagement with issues of social justice, fair and just access and equity in and through the arts & entertainment industry. Wu Chen loves board games, reading and the outdoors. He is an avid cook who is obsessed with food, cooking, and the sociology of food. He’s also fascinated with history, narrative, and mathematics, and knows that everyone has an interesting story. Wu Chen shares his life with his wife Kristin and children Teng Jin and Yi Lian. Chava Curland is a director, mask and puppet designer, and theater arts administrator based in the Twin Cities. She earned her BA in Drama from Ithaca College in New York, and has enriched her education through attending the National Theater Institute at the Eugene O'Neill Theater Center, and by apprenticing in Bali, Indonesia under master Topeng mask carver, Ida Bagus Oka. Before joining the Tech Tools team, she was the Communications Coordinator for the Germanic-American Institute, and offered her administrative skill to such companies as Girl Friday Productions, Gadfly Theatre Productions, and Puppet Cinema (NYC). As a mask and puppet designer, she has worked on multiple productions & projects with Mad Munchkin Productions, In the Heart of the Beast, and Classical Actors Ensemble. She has directed for local companies such as 20% Theatre Company, Gadfly Theatre Productions, Intergenerational Theatre Productions, Theater Unbound, and for her own company, See-Saw Theatre Lab; and has worked in New York for the Rod Serling Conference (Prod Manager/Puppet lead of 'It's a Good Life'), Manhattan Rep Theater (Director), and ManyTracks (Associate Producer/Assistant Director). After finishing a Bachelor of Arts Degree at Concordia College in Moorhead, MN and a Master of Fine Arts Degree in Directing from the University of Memphis TN, Laura Wilhelm has made the Twin Cities her home. As Properties Master at the Chanhassen Dinner Theater, Laura gets to connect with artists and technicians from all across the state. She is the Artistic Director for Mad Munchkin Productions, a theater company producing original works of imagery and imagination. In addition to her own company, Laura has directed for Theater Unbound, Bridge Productions, Applause Theater, Cross Community Players, and Steppingstone Theater as well as theaters and Universities in TN, NE, MN, KS, and FL. As a puppeteer, designer, and propsmaster, her work has also been on stage at the Guthrie, Children’s Theater, Mixed Blood, Ordway, Heart of the Beast, and Stages Theater Company amongst others. As a mother of two, Laura is an advocate for parents working in the arts.